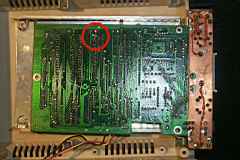 The following pictures and descriptions should show, how a so named parallel cable can be installed in a Commodore 1541-II disk drive. Because of the somewhat limited space, this is a little bit more difficult than with 1541 drives of the A, B and C series. 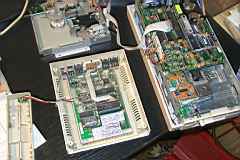 On the picture to the right two examples of different Commodore 1541 disk drive models can be watched. Disassemble the floppy disk drive until you can remove the drive controller board and install the parallel cable at the VIA 6522, that sits directly beside the 6502 main processor. Probably the VIA 6522 needs to be desoldered first. You should replace it by a precision socket. As for the parallel cable, it should be built as a low profile version. Only one single intermediate socket should be used to built a removable version. 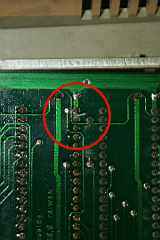 This ensures, that the VIA 6522, which is placed into the parallel cable socket (which again is placed in the drive board socket) doesn't come into contact with the drive motor of the mechanics placed over it. Markus Brenner shows another technique on his mnib page. 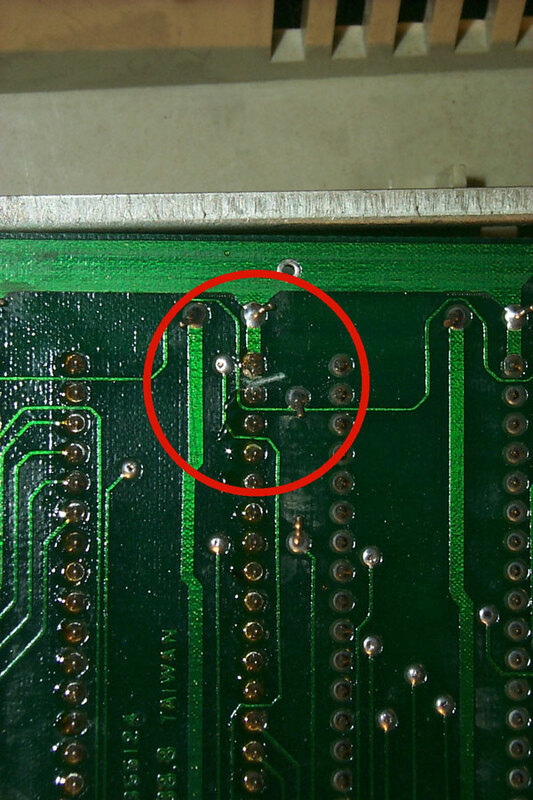 He soldered the parallel cable directly onto the pins of the 6522 VIA. With the Commodore 1541-II disk drive there's still an open issue after the parallel cable installation. With the 1541C Commodore installed a track 0 light barrier just onto pin 1 of this VIA. 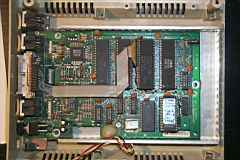 With the 1541-II the light barrier was removed again, but older versions of the DOS ROM (the one from the 1541C drive) just »thought« the hardware was installed. Commodore put pin 1 of the VIA to ground, which signals a »track 0 not reached« to the DOS. Read more about the light barrier circuit in this text document. 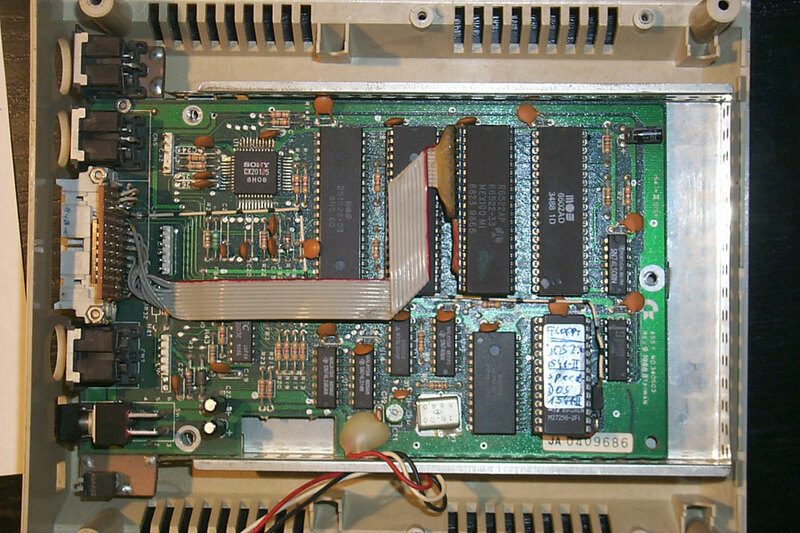 It seems, that the DOS ROM was replaced for all sold versions of the 1541-II, so the pin 1 to ground connection is not needed anymore. Because it would render the parallel cable useless, this trace needs to be cut, so that pin 1 becomes free. You must ensure, that the VIA pin 1 is only connected to the parallel cable. You could build a very special intermediate socket, which connects the parallel cable only with the VIA but not with the drive board. This may be difficult because of the low profile constraint. 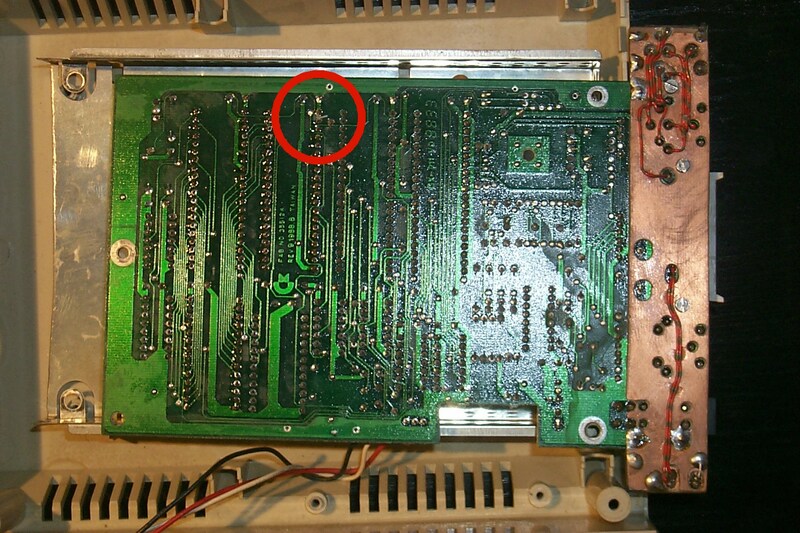 It's easier to cut the trace on the bottom side of the 1541 drive controller PCB. Take the pictures above and especially the detail view as a help to find the right trace.